Archibald Johnston, also known as Lord Warriston was a Westminster Divine and Scottish Judge. Archibald Johnston, Lord Warriston (1611–1663) was a Scottish judge and statesman. He assisted Alexander Henderson in writing the Scottish National Covenant in 1638, and was appointed Procurator of the Kirk in the same year. He helped negotiate the pacification of Berwick in 1639 and the treaty of Ripon in 1640. 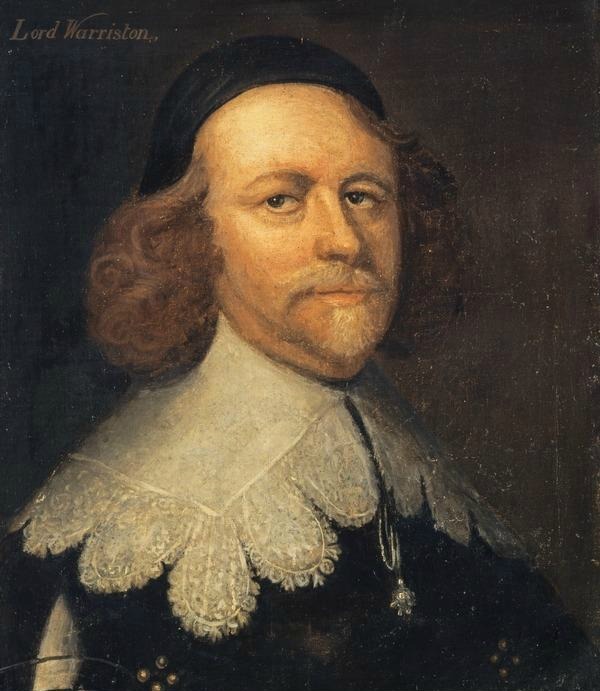 He was Lord of Session as Lord Warriston in 1641. In 1643 as commissioner for Midlothian he opposed neutrality in English affairs. He played a prominent part in the Westminster Assembly, and in 1644 became a member of the Committee of Both Kingdoms representing Scotland in London. Named King’s Advocate by Charles I in 1646, he resisted the Engagement of 1648, and may have drawn up the Act of Classes in 1649. He was appointed Lord Clerk Register in 1649 and is said to have given Leslie fatal advice at the Battle of Dunbar in 1650, after which he lost his offices. In 1657, as a leading Remonstrant (see below), he was renamed by the Lord Protector Oliver Cromwell as Lord Clerk Register. He was a member of Oliver and Richard Cromwell’s House of Lords and a member of the Council of State. On the restoration of the Rump Parliament in 1649, and on its suppression, he became permanent president of the Committee of Safety. After the restoration of the monarchy he fled abroad. He was condemned to death in absentia and arrested in Rouen. With Louis XIV’s consent he was returned to Britain and after a spell of imprisonment in the Tower of London was hanged in Edinburgh on 22 July 1663.